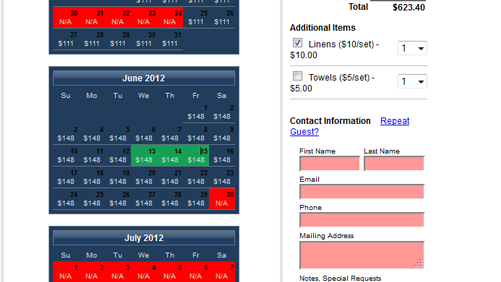 From showing all units on one reservation page, or a separate page for each unit, the choice is yours. 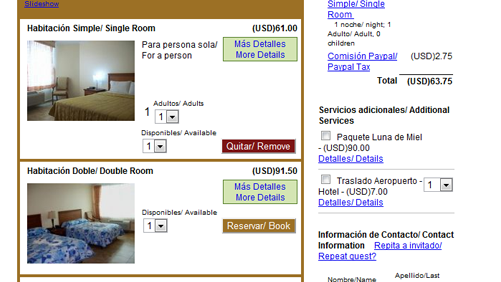 Reservation pages for all types of properties. Create as many reservation pages as you need. Choose the page with the functionality that works the way you do. Such as whether your guests typically book a specific room, or book by the unit type. Bed and breakfast page type. Can default to show all rooms. Click calendars to select dates for a specific unit. 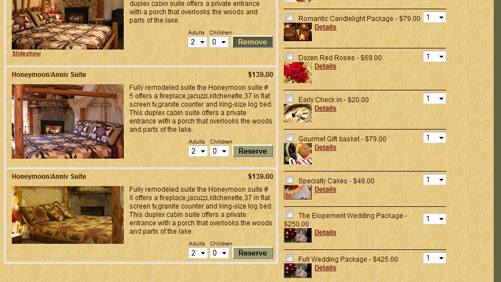 Great for vacation rentals, cabins. Guests select unit type and number of rooms. 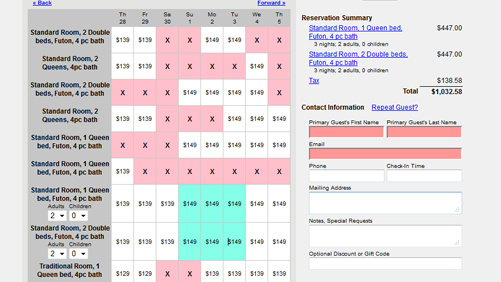 Click availability calendar to select rooms. 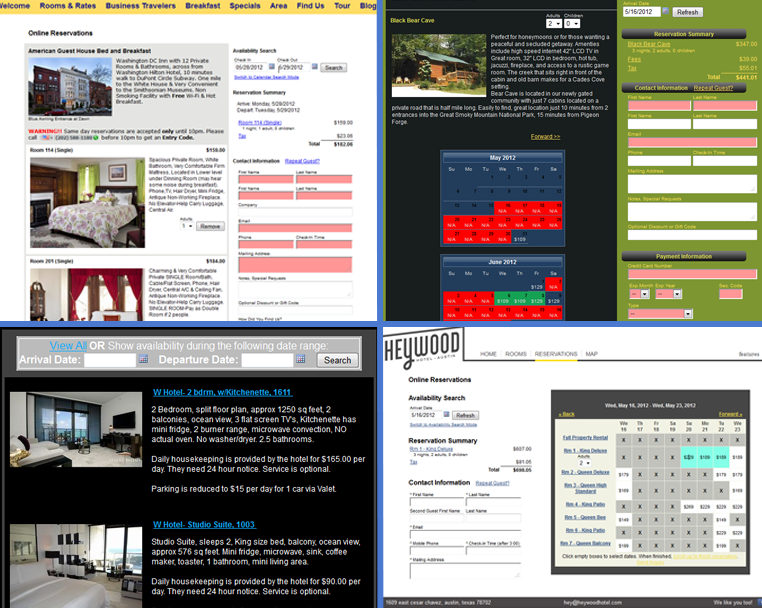 Works well for selecting multiple rooms for non-contiguous stays. You're on number 15 of 24 reasons to use ReservationKey. "Thank you for helping set up online reservations on our Facebook page tonight. Fun to work with you. And I'm loving using ReservationKey."